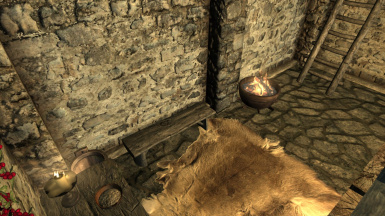 This mod adds shower rooms to all inns in Skyrim, and repairs The Stumbling Sabrecat inn. 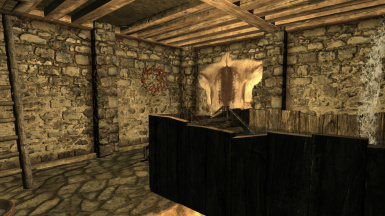 This mod adds a handful of bathing rooms to the inns around Skyrim. It has no scripts, and there are versions for the vanilla game and that require DLC. I made this small mod for people like me, who are using both Frostfall and Drink Eat Sleep Bathe or ZF Primary Needs. Have you ever found yourself stinkin' up Winterhold, with your only alternative being going all the way down the cliff to the sea and end up becoming a very clean frozen corpse? This mod will help! This mod is completely functional. If you hear complaints about people saying this does not work, they have some kind of mod conflict. Sometimes the scented soaps from Drink Eat Sleep Bathe refuse to work, so use the unscented ones. I was also notified by 9zabner that Drink Eat Sleep Bathe should be the last "water-related" mod in your load order. If it still does not work for you, check your mod list carefully for conflicts. Simply stand on the water and use your wash rag to be squeaky clean again! For maximum compatibility, all changes made are just putting a trapdoor in the inns. Hopefully it will be compatible with any mods that make changes to the cities, or to the inns themselves, but if a door is conflicting somewhere, let me know and I'll try to move it around. 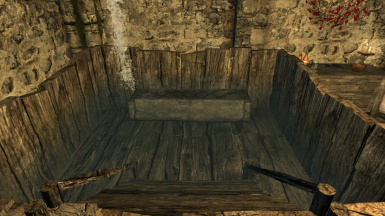 This also means that this mod should be compatible with Northern Bathhouses, if you feel like using both. Also, you don't need Frostfall, Drink Eat Sleep Bathe or ZF Primary Needs for this mod to work - it's perfectly standalone, although if you don't have any bathing mods you won't get to do much in the showers besides sitting. 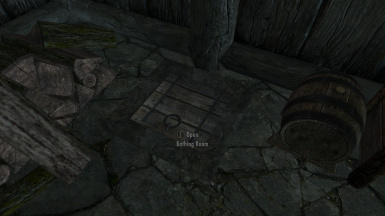 This mod will conflict with "Perseids Inns and Taverns - Realistic Room Rental"; that mod makes big changes to the inns, so the trapdoors will be hidden, or disappear altogether. Using both can cause you to crash to desktop. Thanks for the heads-up, Kursan! You'll also find a couple of optional versions. The Dragonborn ones add showers to The Retching Netch, the Thirsk Mead Hall and the Skaal Greathall. These obviously require Dragonborn. 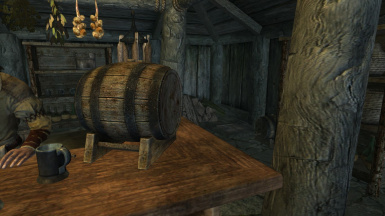 Another one turns The Stumbling Sabrecat, a tavern located within Fort Dunstad, into a fully functional inn. 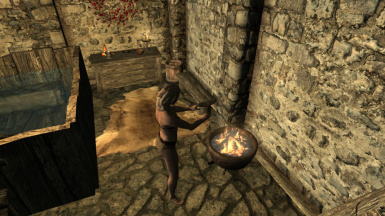 Since this inn is originally overrun by bandits, I'll give you the chance to choose, so pick only one. If you'd like a version that only restores The Stumbling Sabrecat, take a look here. I poked around the internet and found a couple of showcase videos of my mod. Skip to 2:40. UPDATE JAN 15 2013: I was contacted by varakz with the goal of making my mod compatible with his fine ZF Primary Needs mod. The vanilla and Dragonborn versions of my mod are now compatible (the one with the Stumbling Sabrecat is not). 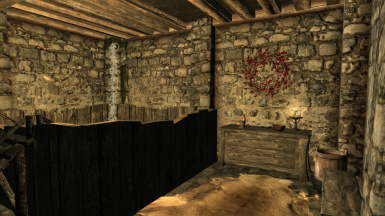 He also kindly corrected some Undeleted Navmesh records and issues with the Solitude bathing room, for which I will be forever thankful. Be sure to take a look at ZF Primary Needs if you're looking for an immersive needs mod! To install, place the file in your 'SteamSteamAppsCommonSkyrimData' folder. Then activate the mod through your preferred launcher by ticking the checkbox next to the esp. An old version of this mod is also available at the Steam Workshop. Have fun!